Here at Slim Vape Pen we watch the trends to make sure we are always bringing you the most up to date can’t-live-without-it vaping items, and we are here to tell you that blue is where it’s at this season. 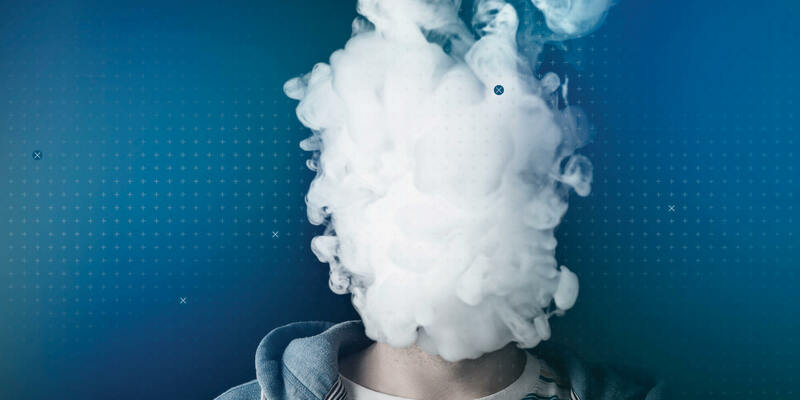 A blue vape pen is both reticent enough and bold enough to communicate who you are without making you say a word. Here at Slim Vape Pen, we have several different options you can choose from if you are looking for a blue vape pen. 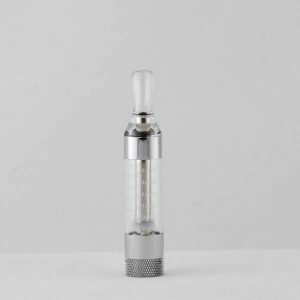 Don’t just find one you like and stick with it forever – the options really are endless and how would you know that you’ve been missing out on the perfect vape all this time until you found a vape pen that gave it to you? 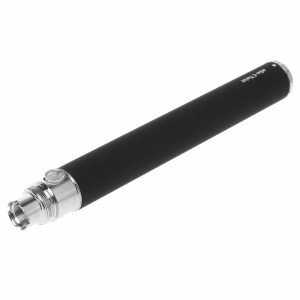 The Blue eGo T Battery is one of our most classic vape pen models. 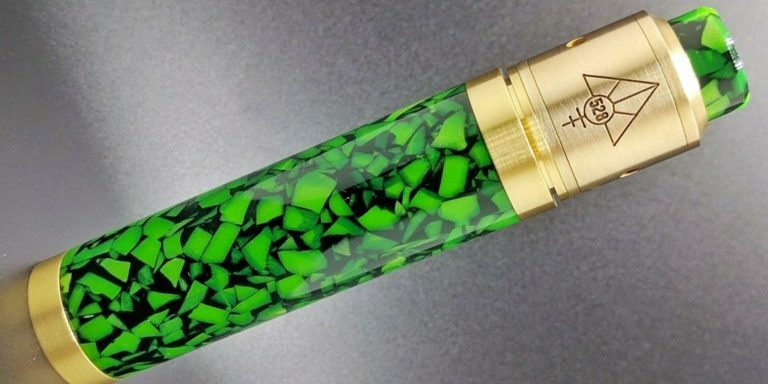 This is a vape pen that just flat out works. 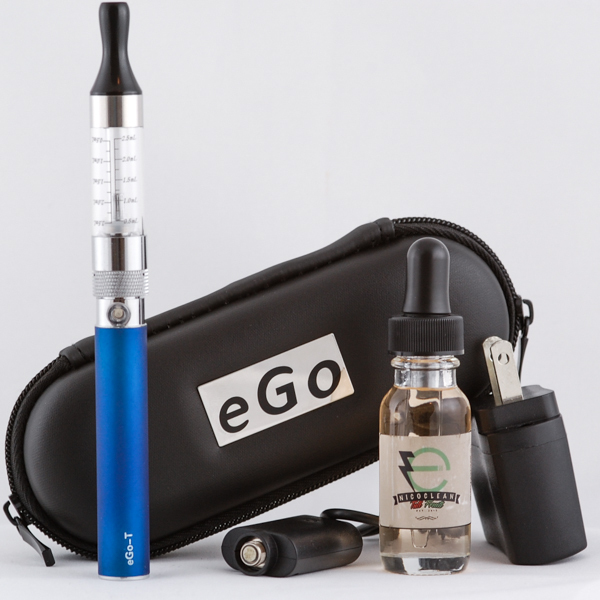 We offer the Blue eGo-T 1 and Blue eGo-T 2 which are both full blown starter kits that come with everything you need. It’s supposed to do two things: give you delicious vapor and fulfil your nicotine cravings. And that is exactly what it does. The Blue eGo T is easy to use and doesn’t require a lot of messing with it to make it work. The downside to this is that it isn’t as customizable as, say, the Blue eGo Twist. But if you’re looking for a solid, reliable vape pen that is going to be convenient and easy to use, this is definitely a great one. 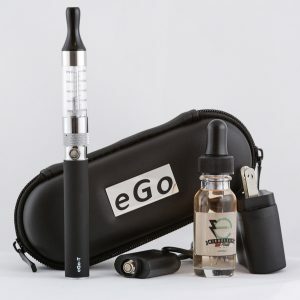 Our Blue eGo Twist Vape Pen has the reliability and easy care of the eGo T, with an extra bonus feature: you can select the amount of voltage for each puff. There is a small dial at the bottom of the blue eGo Twist battery that lets you control the variable voltage. So if you want less vapor or you want your battery to last longer, turn the voltage down. If you want more vapor or don’t care about having to recharge your battery sooner, crank it up and enjoy the huge clouds of vapor! Keep two of these batteries on hand at all time with the Blue eGo Twist Starter Kit 2 which comes with everything you need to vape, including free e juice. 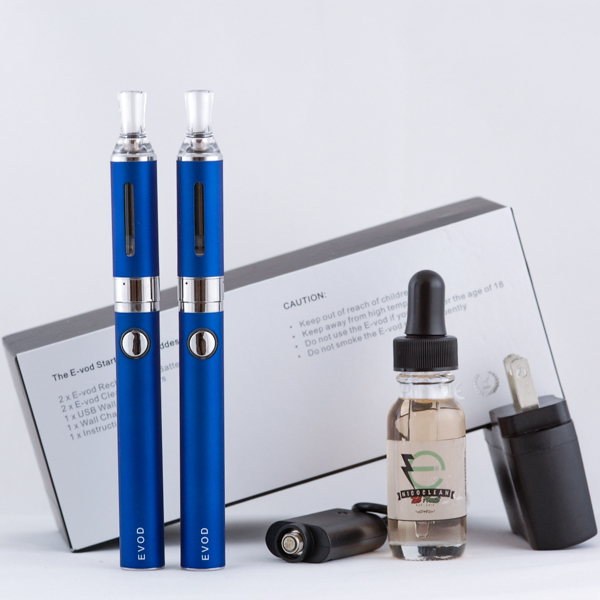 The Blue EVOD Vape Pen is another basic, excellent, reliable vape pen. 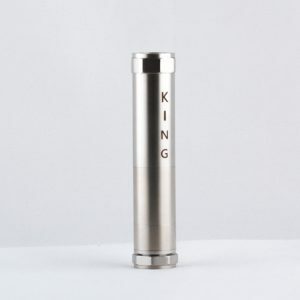 It works just like the eGo T, but it has some aesthetic differences that give a different vaping experience. For example, the Blue EVOD Vape Pen Battery button is flush with the battery instead of raised, and it takes a lighter touch to make it fire. It produces clouds of beautifully smooth vapor and is in general just a vape pen that gives a wonderful vaping experience. With the Blue Vision Spinner Starter Kit from Slim, you can find every reason in the world to use this vape pen. The Blue Spinner Battery is jam packed with a 1600mAh battery powerhouse that is sure to last long into the night without charging. 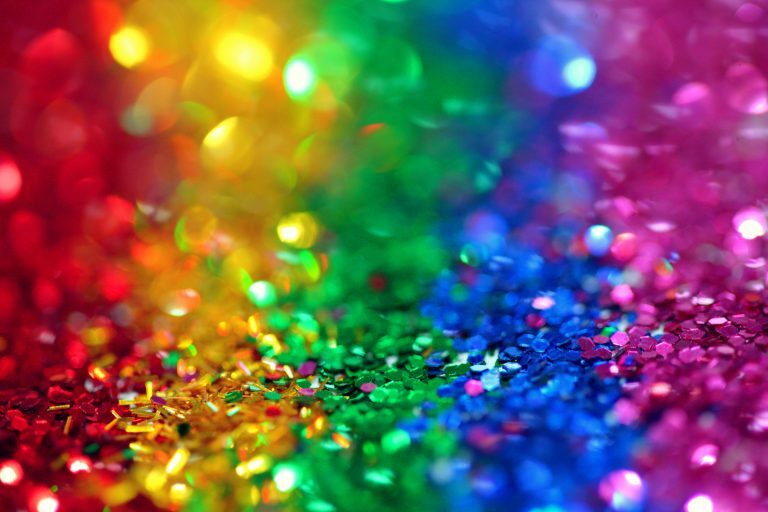 Different kinds of flavoring taste differently when you vape them at different temperatures, and the higher the voltage the higher the temperature of your atomizer coil. The more control you have over the way your e juice tastes, the happier you are going to be with your vaping experience. 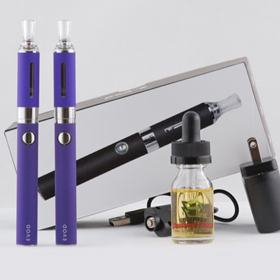 All of the blue vape pens listed come in a 2-pen starter kit so you can get started vaping right away. 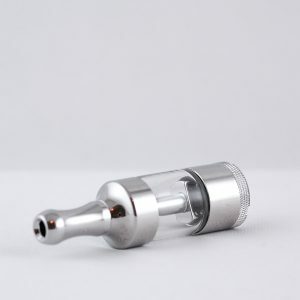 The T3S is a bottom coil clearomizer (BCC), which provides by far and away the best vapor you can get. 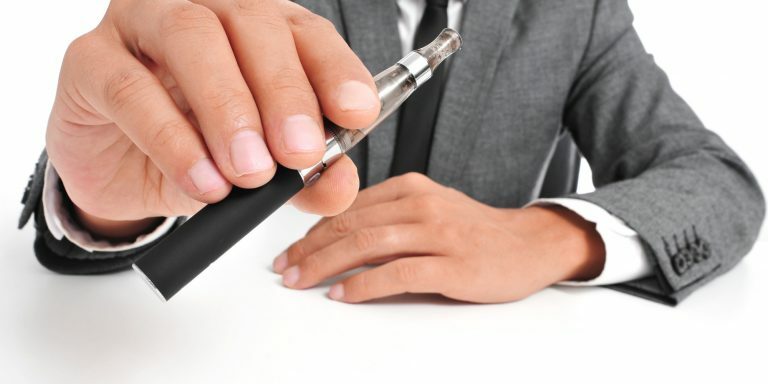 Some vape pens out there use top coil models, and there are two major problems with top coils. First, the wick tends to dry out. Even when the wick is long and extends all the way down the tank, it is still likely to get dry spots when the tank is not completely full. This makes it really hard to use up a tank of e juice so you can change flavors without having to waste it. The second problem with top coil models is that the coil is too close to your mouth. The flavors don’t have time to fully develop before they hit your tongue, so you get thinner and less tasty flavors. With a bottom coil clearomizer like the T3S, the wick always stays saturated because it is at the bottom where all the e juice flows down. You don’t get any dry spots in the wick, and that means you’re going to get a great hit every time. The wick is shorter, which means it’s easier to rinse out when you want to change flavors. And since the coil is farther away from your mouth, the flavor you get is infinitely more delicious. Two of these fantastic clearomizers come in our 2-pen starter kits. Whether you choose the blue eGo T, the blue eGo Twist, or the blue EVOD, your choice is a great one because all of these vape pens are 5 star products. 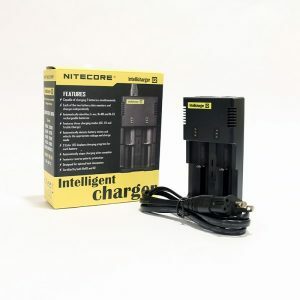 This lets you have a battery to be charging and a battery to be using, so there’s no need to ever be without a vape pen. We will send a carry case to keep your vape pens and accessories safe, whether you are on the go or storing them in the top drawer. Vape pens have small replacement parts that are easy to lose, so it is best to have them organized and stored close together. The standard charging cord for all these batteries is a USB cord, and for your convenience we also throw in a wall adaptor so you can plug it in to a regular plug. All these batteries are 510 threaded so the same charger will work for all of them. Our customers love the convenience of being able to interchange their chargers without worrying about which one goes to which pen. They are ideal assistants to help you quit smoking. They quickly become the item you just can’t leave the house without. And now they can also be a great fashion accessory with Blue Vape Pens from Slim Vape Pen. 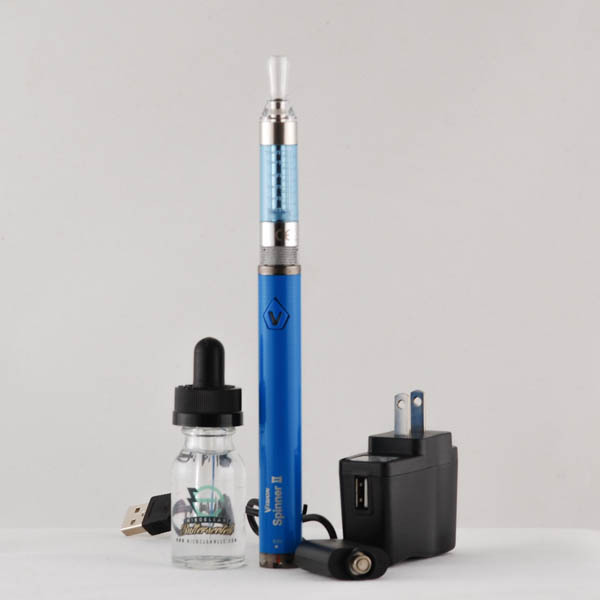 We have a great selection of different vape pens you can choose if you are looking specifically for the color blue, and all of them are guaranteed to work great and make you a satisfied customer. 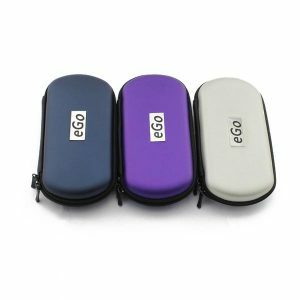 The choice between an eGo T, an eGo Twist, and an EVOD is a very personal one and we aren’t going to tell you which one is going to be the best option. The fact is, they are all fantastic vape pens. 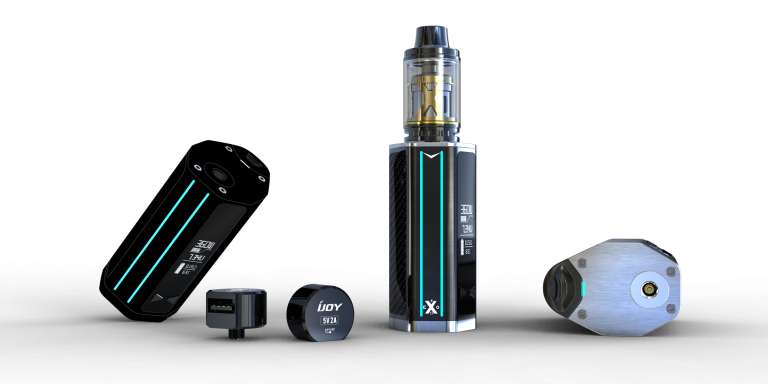 Hopefully this explanation of what you can look forward to with each of them helps you make an educated choice so that you can get on with the business of enjoying your vape pen to the maximum extent. Happy vaping!